Link building has long been an important, Google-confirmed technique within search engine optimisation. Not without good reason either, considering getting page one ranking without extensive linking is incredibly difficult. This is due to the fact that having plenty of good quality inbound links to a site is a one of the most important factors. 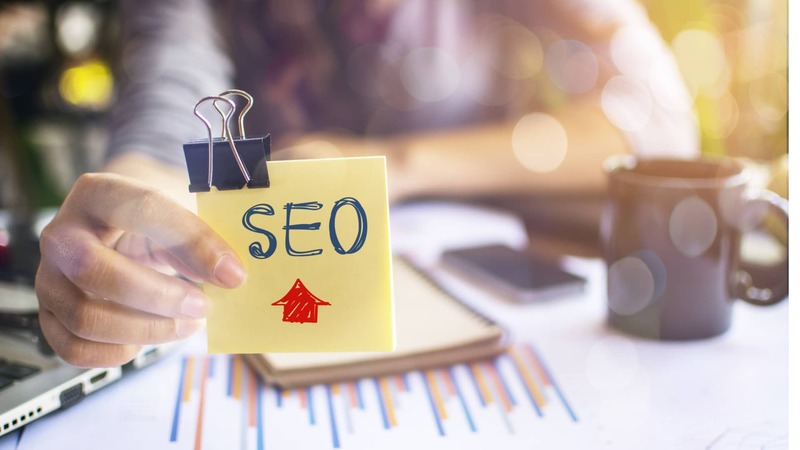 However, in recent years, especially with Google Penguin’s updates, link quality has come under heavy scrutiny, and many agencies have begun to abandon it, due to manual link building’s awkward and time-consuming process, despite the fantastic value of links to a site’s ranking prospects. As we head on into 2018, the importance and power of quality links continues to be questioned, however, with more algorithm updates putting all elements of SEO under closer and closer scrutiny, quality link building looks to hold its value and more in the years to come. Any web design company worth their salt will know its lasting importance. So why is link building so important? Well, first off, quality linking has been confirmed by Google to be a very potent factor coupled with authoritative content. This puts having a thorough network of inbound links to your site from reliable and respected sources, almost on a par with the actual content of your website. Getting those links can often be something of an ordeal nowadays, as the quality of links falls under examination more and more. It’s a case of continually developing your link network, and always looking to improve and expand upon it. In short, it’s a lengthy but rewarding process, when done right. One of the biggest changes that’s brought link building under fire over the last few years has been Google’s Penguin updates. Gone are the times when you could just buy a bulk load of links from suspect sites, and expect to see your rankings rocket. With its frequent updates making it even more potent and far reaching, Penguin is only set to get better at sorting out the quality links. But what is Penguin precisely? At its core, Google Penguin is an algorithm update designed to enforce Google’s Webmaster Guidelines, and combat sites that are spamming or playing the system in unusual ways. Specifically targeting sites that utilise black-hat SEO tricks, Google Penguin effectively polices sites with brutal penalties in store for those that don’t toe the line. Massive drops in rankings aren’t uncommon, with first page sites dropping to the fifth or sixth page, undoing huge amounts of SEO time and effort. Cheap techniques like duplicate content, and keyword cramming are chief offenders. The risks of link building through cheap, spam sites are costly and should be taken seriously by any web design company. Ranking drops and penalties can cost your site a lot of hard-won ranking positions, and Penguin’s recent updates and constant real-time monitoring has made link building a strict and careful business. Link building remains as powerful as ever as a method of getting great rankings. Done right, it’s easily more effective than almost all other little tweaks and tricks in the ranking expert’s guide. Any knowledgeable web design company that respects that fundamental principle will be put onto the right track. As Google’s Penguin and Panda updates get more and more advanced in the coming year, you can expect to see link building come back to the fore as one of the prevalent SEO techniques. With both Panda and Penguin designed to root out black-hat SEO techniques, and put the focus right on quality content, quality links and great, functional websites, the spotlight has never been more on website design excellence. Getting ahead in your link building strategy could mean the difference between that first page, or that fifth.